There are some stories that are just too big to tell in their entirety within the confines of a motion picture. As a result, filmmakers are required to make choices about what to include and what to omit; determining which elements are most important, which aspects of the story are the most cinematic or which elements provide the most compelling narrative. Such decisions are further problematised when the story is about one of contemporary history’s most revered figures. Director Justin Chadwick was no doubt faced with such quandaries in his adaptation of Mandela: Long Walk to Freedom, the autobiography of former South African president Nelson Mandela. A timely release following the recent death of Mandela after a protracted illness, Mandela: Long Walk to Freedom focusses primarily on his political activism with the African National Congress (ANC) and subsequent incarceration on Robben Island. To his credit, Chadwick – who also helmed the Africa-set The First Grader in 2010 – has delivered more than just an obsequious celebration of Mandela’s considerable achievements and subsequent legacy. In fact, the film ends at the point in which Mandela is elected President of South Africa in 1990 after spending 26 years in prison. The film is presented in a straight forward, if somewhat truncated, narrative with Mandela’s childhood and adolescence given very short shrift. The story really kicks off with an adult Mandela (Idris Elba) working as a lawyer in 1940’s Johannesburg where he meets and marries Evelyn Mase (Terry Pheto). However, Mandela’s extended absences, infidelity and commitment to political action with the ANC leads to divorce. As the ANC becomes more hostile in their opposition to the government, Mandela is front and centre of several acts of sabotage. In 1958, Mandela marries Winnie Madikizela and it is this relationship around which most of the film is based. With Nelson in prison for much of their married life, Winnie takes up the cause on behalf of her husband, resolving to fight both his incarceration and his cause; the emancipation of black South Africans from white oppression. However, she soon finds herself subjected to surveillance, torture and imprisonment, including extended periods in solitary confinement, treatment that only serves to push her towards the militant resistance that ultimately drives a wedge between her and her husband. Elba presents a somewhat commanding presence as Mandela, a character played on screen several times before by the likes of Morgan Freeman, Terrence Howard, Danny Glover and Sidney Poitier. He is particularly strong as the younger Mandela, a firebrand crusader seemingly prepared to risk everything for his beliefs. In the later years, Mandela is a much more contemplative character and there isn’t as much for Elba to do here other than invoke the changing physicality that takes place over time as he becomes the image of Mandela with which we are now so familiar. A transformation that extends beyond the efforts of the make-up artists though to include the way he walks and the way he speaks. 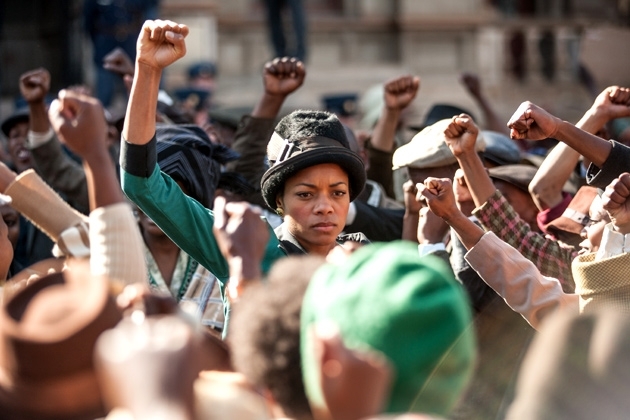 Whilst Elba executes this effectively enough, it is Naomie Harris as Winnie who steals the show. Perhaps most well known for her role in Skyfall, Harris inhabits Winnie with gusto and delivers a fine performance as a woman at loggerheads with her government and determined to avenge the injustices inflicted upon the black population; seemingly at any cost. It is her willingness to fight fire with fire, both figuratively and literally, that makes her a thorn in the side of both the government and her husband’s efforts to secure meaningful political and cultural change. From a political perspective, Chadwick has produced a conservative and balanced film which, whilst largely devoid of posturing or political point scoring, leaves you in no doubt about the significance of Mandela’s role in bringing an end to the apartheid regime. The film captures the energy and anger of the time without dwelling excessively on the bloodshed. We see the impact Mandela’s internment has on both his family, black South Africans and people around the world and we can understand how both Nelson and Winnie are transformed by the circumstances in which they find themselves. 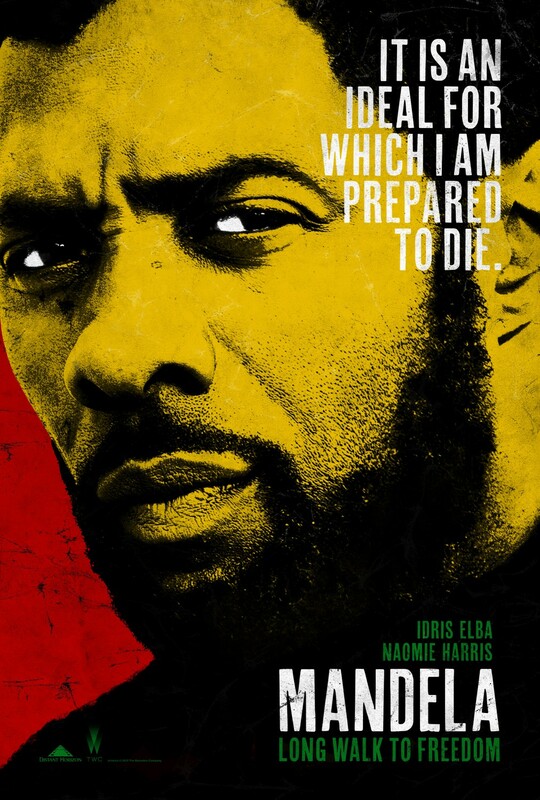 Ultimately, Mandela: Long Walk to Freedom is a solid, level-headed, earnest and uplifting biopic that is simply unable to cover all bases in sufficient depth.